In this article we reported preparation of 1-butyl-2-methylpipyridinium iodide ([BMPPY]I), as a novel ionic liquid (IL) through simple procedure. 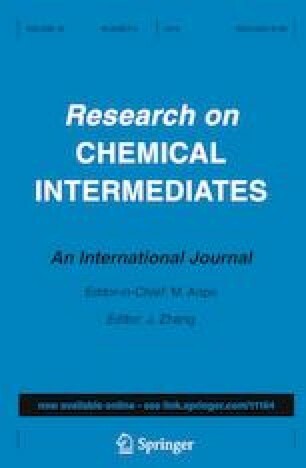 This newly prepared IL has been characterized by FT-IR, FESEM, EDX, TGA/DTG, 1H NMR, 13C NMR, and Gc-mass techniques. The FESEM images revealed nano scale for the IL with the average diameter of 150–185 nm. 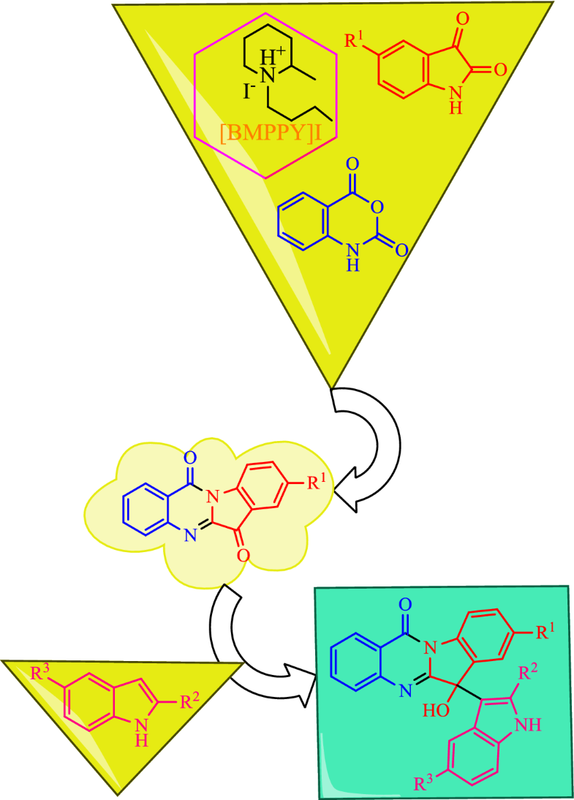 Its efficacy examined for the synthesis of 6-hydroxy-6-(1H-indol-3-yl)indolo[2,1-b]quinazolin-12(6H)-ones via domino three-component reaction of isatin derivatives, isatoic anhydride, and indoles under solvent-free conditions at 100 °C. The results affirmed that ([BMPPY]I) possessed a dual catalytic/solvent role to promote this condensation. Non-flammability, thermal stability, non-toxicity and low cost of the IL that led to obtain pharmaceutically-active heterocycles though easy work-up procedure and short reaction times, are some highlighted features of this green protocol. The authors thank Alzahra University for financial support of this research.